Find hotel near House Of Hungarian Art No .. 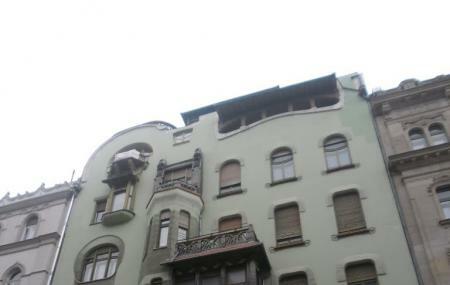 This House is a complete dedication to the love of Art Nouveau. It used to be a house in the past centuries and was eventually turned into a museum with a cafe to accompany it. Today all the objects and the furniture found here are of the Art nouveau style. The history of the house is as interesting as the present day recreation. It was built in the year 1903, for the Bedo family by Emil Vidor. It is an insight into the Bourgeois life of Budapest that flourished in the city. Check out the new workart on their official website. Free Admission: For ages 6 and under. How popular is House Of Hungarian Art Nouveau? People normally club together Mucsarnok and Cave Church while planning their visit to House Of Hungarian Art Nouveau. One of the secret museum of Budapest. There is no official information in the guides. The building in Art-Nouveaux style with interesting and beautiful furniture. On the first floor is cafe and souvenir shop, on the other two floors is the museum. Information was only in French. Just much secession stuff in no order. No information anywhere, just some short notes in hungarian language. Unfriendly staff isn't interested in you. Problem with moisture, you feel it when you breath. Not for allergic people. Furniture and other decorative pieces are amazing and varied examples of Art Nouveau. Display of period urinals worth seeing! This is NOT a museum. Just an antique store which makes the entrance paying. However the pieces are interesting. It would need a proper museography and comments to be worthwhile. Very interesting museum of recent furnishings.